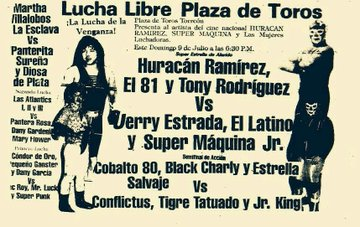 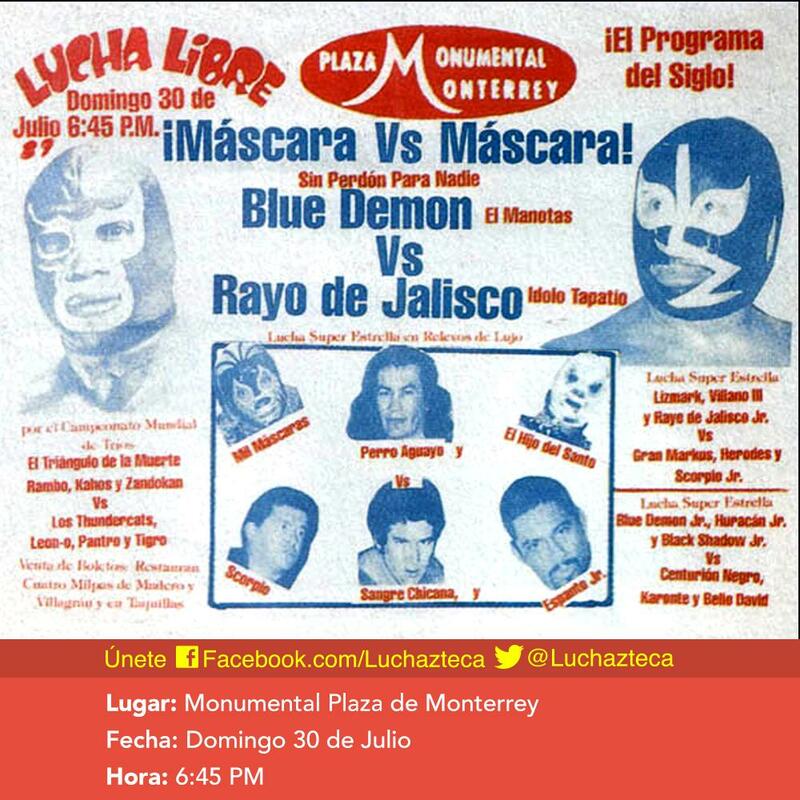 3) Chuy Escobedo & Green Demon I vs Erick Cardona & Imperio Rojo Jr.
5) El 81, Huracán Ramírez, Tony Rodríguez vs El Latino, Jerry Estrada, Súper Máquina Jr.
4) Mano Negra & Texano vs el Signo & Espanto Jr.
Blue King won the title. 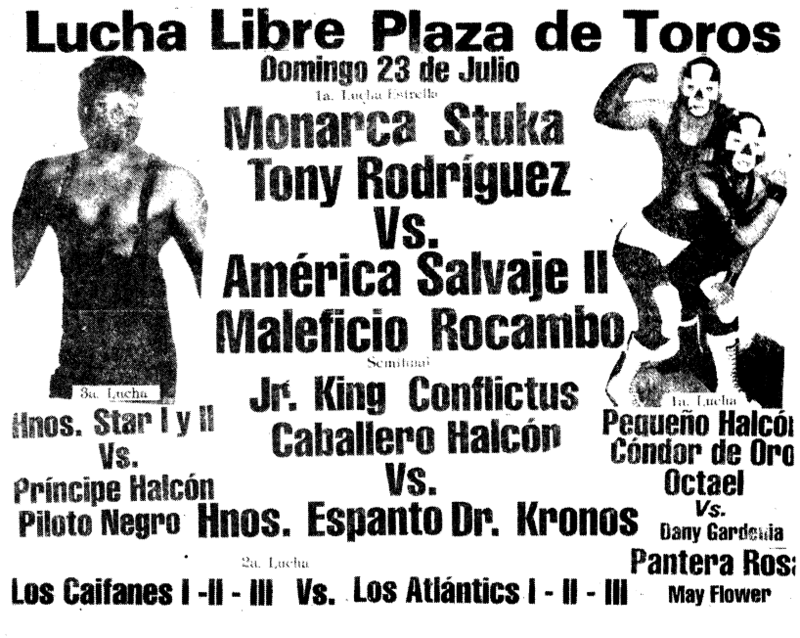 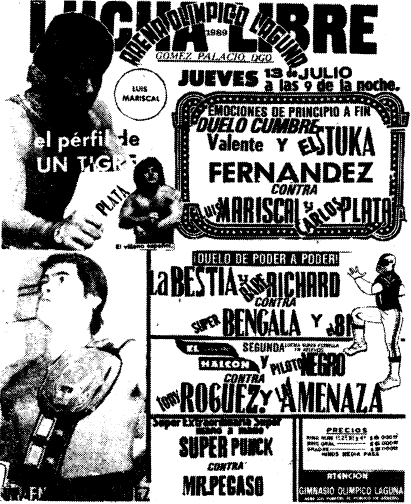 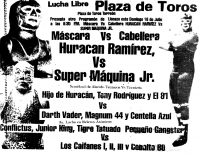 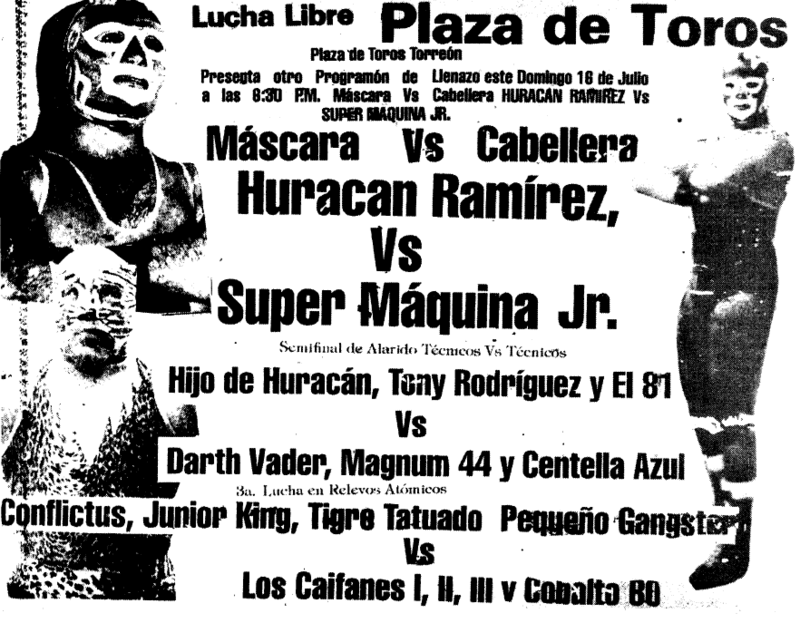 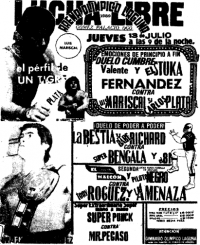 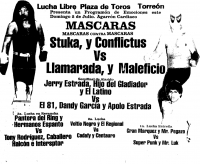 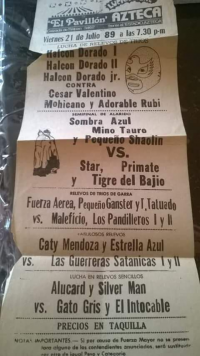 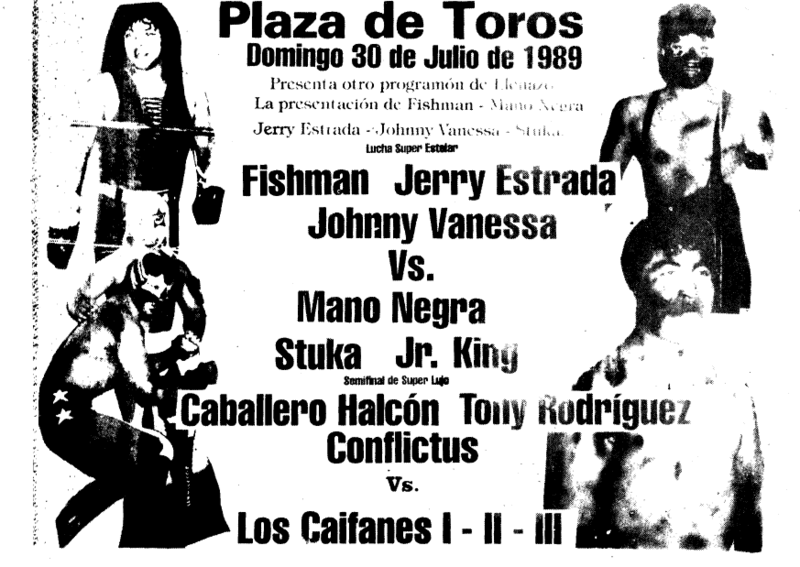 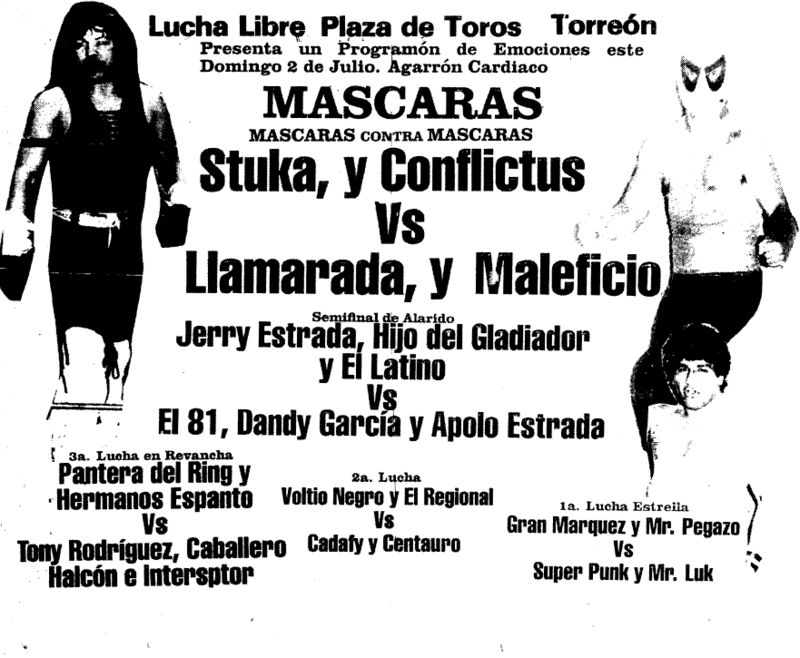 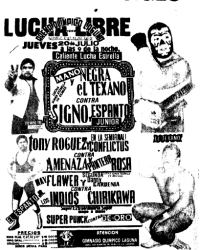 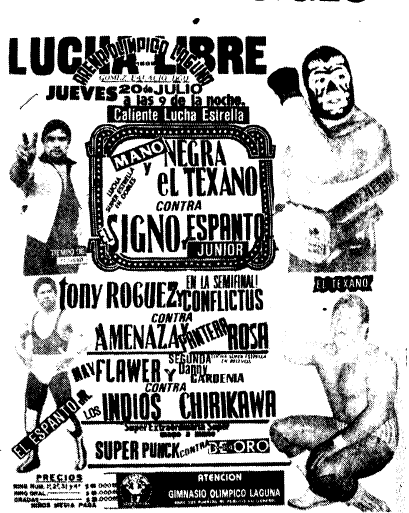 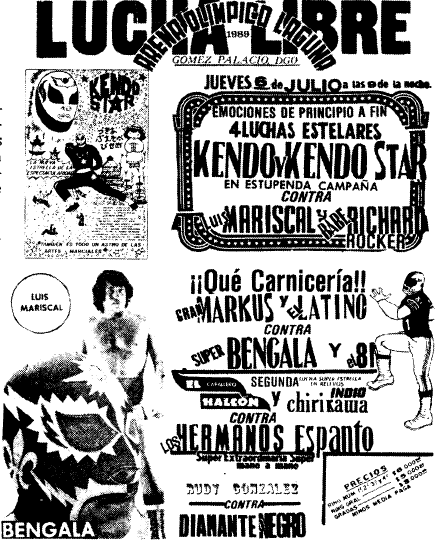 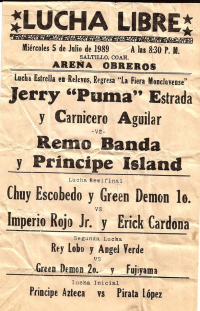 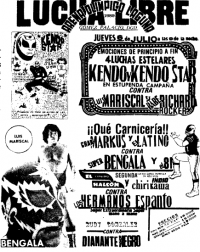 3) Lizmark, Rayo de Jalisco Jr., Villano III b Gran Markus Jr., Herodes, Scorpió Jr. 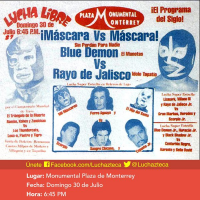 Event Notes: overflow crowd. 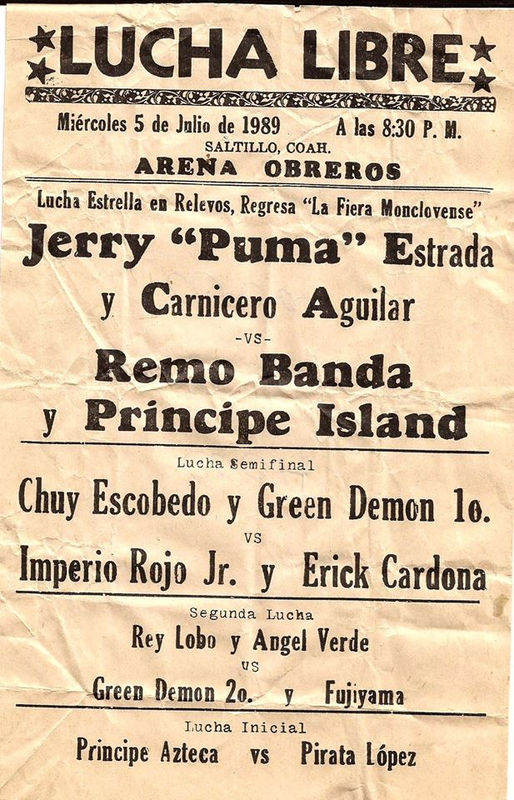 Part of the Demon retirement tour (so there was thought he might actually lose). 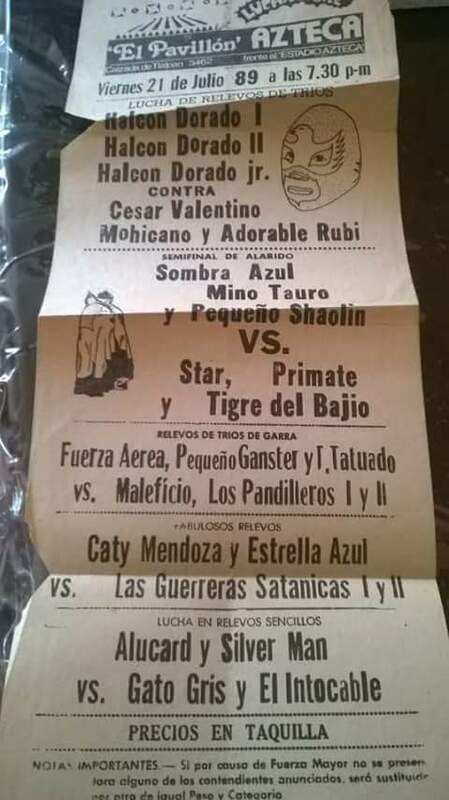 Both men were about retire.